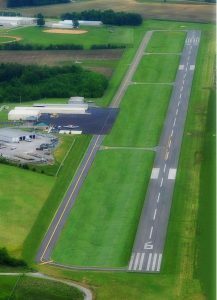 Muhlenberg County Airport stands ready to meet your business needs and looks forward to serving you! Muhlenberg County Airport, Federal Aviation Administration designator M21 is the front door to Muhlenberg County and the surrounding area. The airport is centrally located near metropolitan areas like Evansville, IN, Owensboro, KY, and Nashville, TN. See scenic downtown Greenville and all its unique attractions at http://www.tourgreenville.com. Overnight tie-down, call ahead for vacancy. On site aircraft maintenance available, if needed.